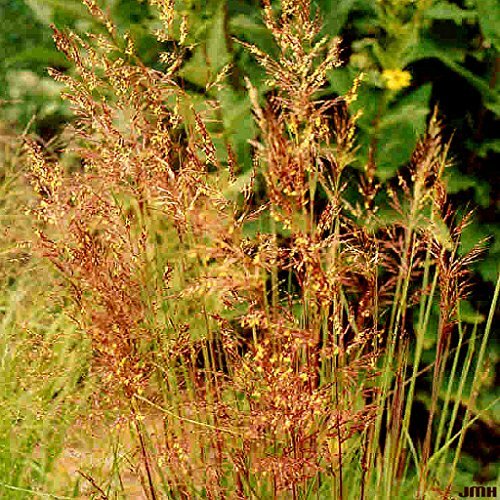 Indian Grass (Sorghastrum nutans) - Start Indian Grass seed for this versatile, perennial, prairie grass. 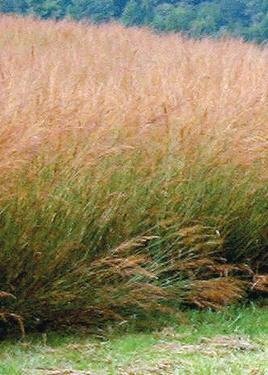 Indiangrass is a beautiful, clumping, native grass of medium color, turning to a showy yellow to bronze color in the fall. It will normally retain some color throughout the winter. At one time Indian Grass grew throughout the prairies of central and eastern United States. It grows best in deep, well-drained floodplain soils but is highly tolerant of poorly to excessively well-drained soils, acid to alkaline conditions, and textures ranging from sand to clay. 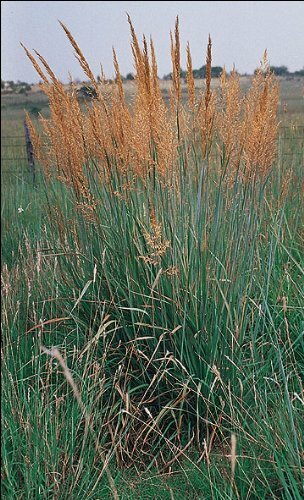 In good soils this native grass can get up to 6 - 7 feet tall, but 3 - 5 feet tall is more normal. Indian Grass has many uses. It is very palatable for livestock in its active growing season and provides an excellent wild life habitat. Since it is very tolerant of poor soils, it can be used for erosion control in many areas where other plants won't thrive. Native prairie grasses are often used for landscaping as an ornamental grass, a border plant, or used alone or combined with other native grasses, such as the bluestem grasses, to create a meadow look or even combined with wildflowers. 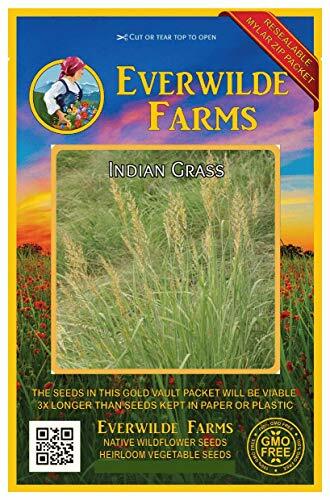 Indian Grass is a 3' to 6' tall native perennial warm season bunch grass. It is one of the 4 dominant grasses of the central and eastern native warm season grasslands. It grows in a wide variety of soil types and soil moisture, but cannot withstand being submerged for extended periods. It prefers full sun sites. 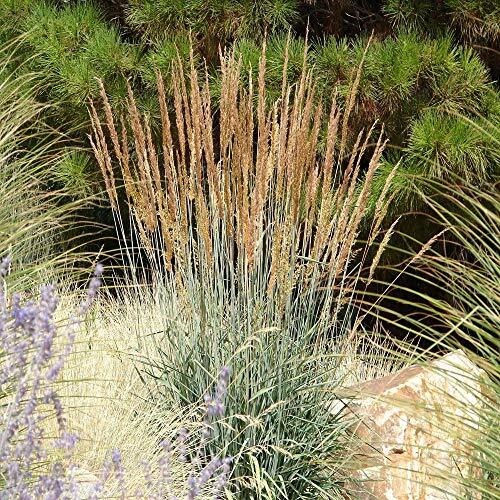 The graceful plume-like bronze heads make this a great ornamental grass for gardens and landscaping. This is one of our most valuable wildlife habitat species, providing predator cover, thermal protection, movement and escape cover, nesting habitat, nursing areas, food, and much more for quail, turkey, song birds, deer, small mammals and a host of other wildlife. 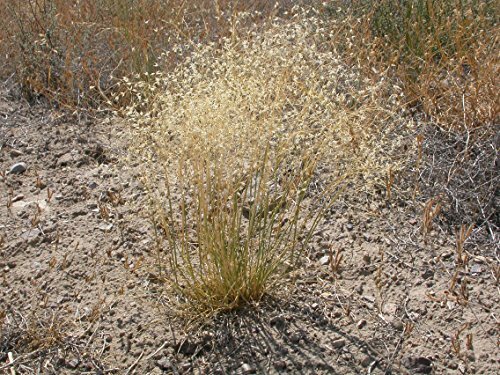 This is a great native grass seed from The Dirty Gardener. 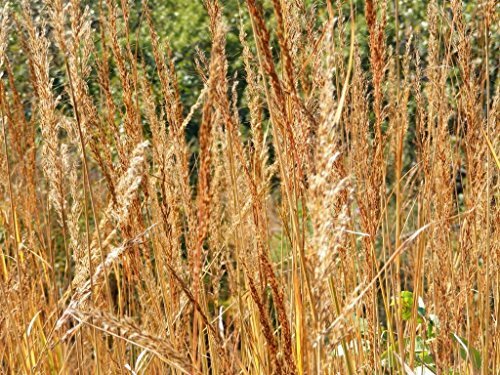 Osage Indian grass provides upright clumps of slender, blue-green leaves that turn golden in the fall. In late summer, attractive, vertical flowering Osage Indian grass stems are topped with 12-inch long, light brown flower panicles that have yellow stamens. Excellent grass for mid-height prairie. Blue-green that turns red-orange in fall. Indian grass attracts birds and looks lovely in dried arrangements. Bloom time: July - Aug. Hardiness zone: 3 - 9. Light requirements: sun - part shade . . . Soil / water: average - dry. SAME DAY FREE SHIPPING. BUY 4 GET ONE FREE, YOUR CHOICE. Equal Value. Just add a note indicating what pack(s)you would like and I'll put them in your envelope. 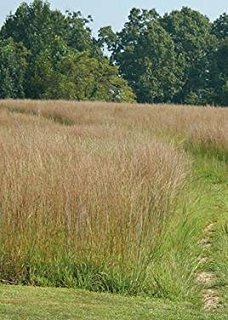 INDIAN GRASS is a native of the tallgrass prairie.The tough,long stalks where used for weaving.Noted for it's ability to comeback and thrive after a fire.Drought tolerant and prefers poor soils. Does not do well in rich soil.If left alone,it will reseed itself and will spread.To control spreading, just cut stalks late summer before seeds drop.Forms large clumps about 2' wide and can get 6' tall. 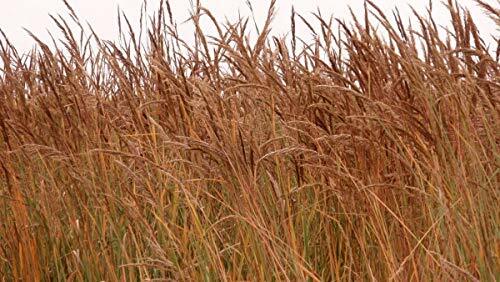 Indian grass turns a rich copper color in fall and stands out against winters greys and browns. Perfect choice for erosion control, natural landscaping or wild life habitat. Easy to grow from seed and pretty much a carefree plant after seedlings are established.500+Quality seeds. Thank You! Sorghastrum nutans. Perennial. Spring, soil temp 50F+. SOW 3 or 4 seeds,1/16"deep per plant. About 24" apart.Keep moist. Germination 7-21 Days. Thin to 1(best) seedling. Use scissors to cut out unwanted sprouts. Height 36-60" x 24" Wide. Light water after seedlings are established. Doesn't like fertilizer, plant will droop. Foliage color is silver / blue during summer and turns yellow / bronze in fall. Flowers are golden brown. It grows best in deep, well-drained floodplain soils but is highly tolerant of poorly to excessively well-drained soils, acid to alkaline conditions, and textures ranging from sand to clay. In good soils this native grass can get up to 6 - 7 feet tall, but 3 - 5 feet tall is more normal. Indian Grass has many uses. It is very palatable for livestock in its active growing season and provides an excellent wild life habitat. Since it is very tolerant of poor soils, it can be used for erosion control in many areas where other plants won't thrive. Native prairie grasses are often used for landscaping as an ornamental grass, a border plant, or used alone or combined with other native grasses, such as the bluestem grasses, to create a meadow look or even combined with wildflowers. Shopping Results for "Indian Grass"